World Wrestling Entertainment power couple Mike ‘The Miz’ Mizanin and wife, Maryse Ouellet Mizanin, are nimble in the ring and at home. 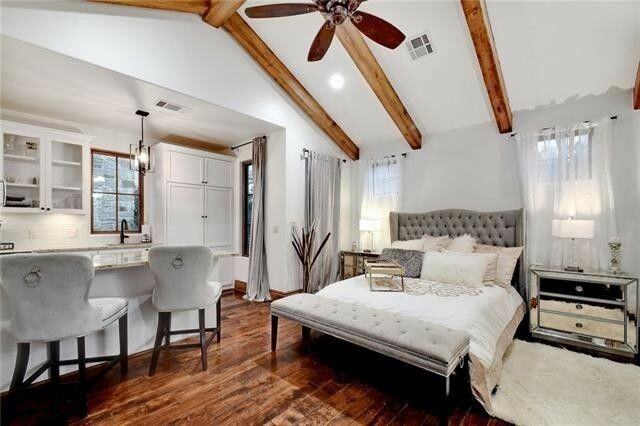 A mere 15 months after closing on their spacious Euro-inspired farmhouse in Austin, TX, they’ve put it back on the market for $2.75 million, which isn’t much more than the $2.6 million listing price it had when they bought it in December 2017. Shortly thereafter, in March, Maryse gave birth to their first daughter, Monroe Sky Mizanin. Last month, the couple announced on live television that they’re pregnant with baby No. 2. 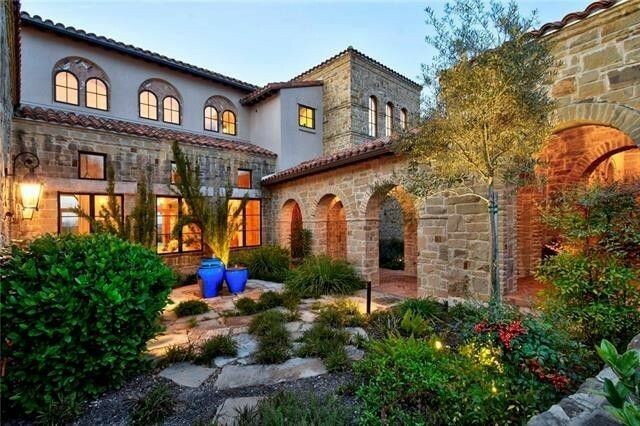 But more space for the new addition can’t be the reason they’re selling this 7,770-square foot home. 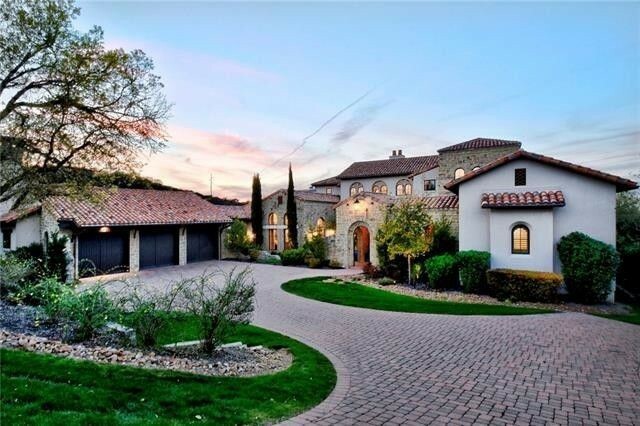 After all, it has five bedrooms, five full baths, and five half-baths. In other words, plenty of room for a family of four. 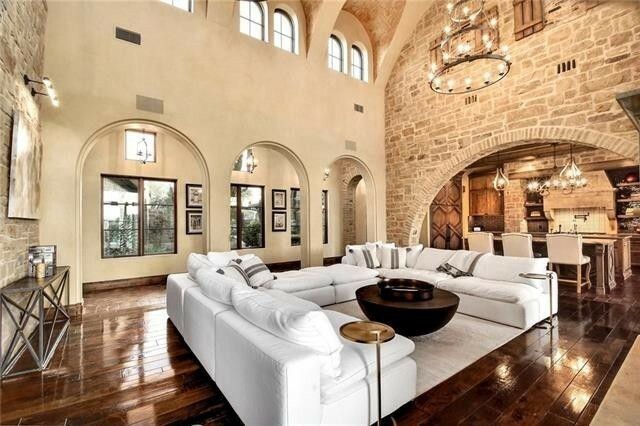 The home is gleaming, with white stucco walls, and arched windows give it the appearance of a grand Mediterranean estate or a modern cathedral. 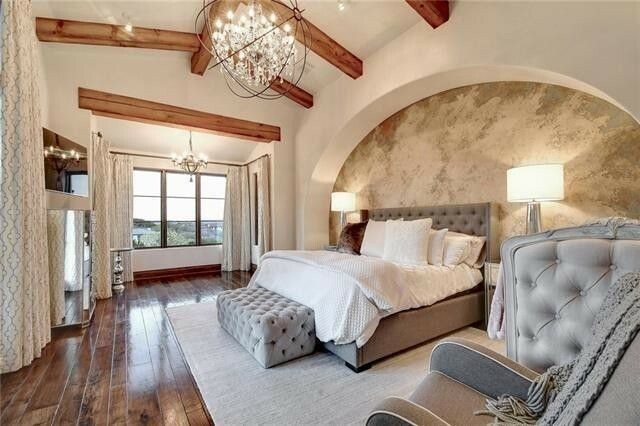 The cathedral theme has been carried into the interior, where two-story ceilings soar above stone walls, arched windows, and passageways, and stone, tile, and hardwood flooring. 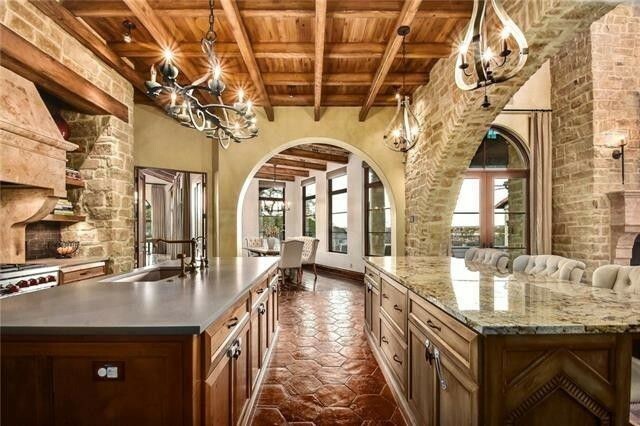 The rustic design carries into the open, double-island kitchen, with chic antiqued wood cabinetry and beamed ceilings, plus professional-grade appliances. 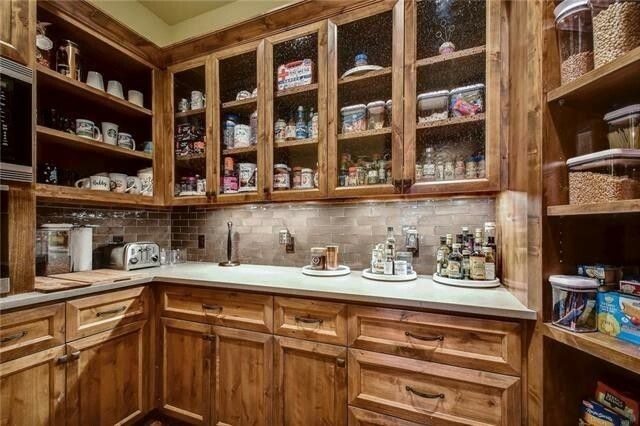 It also features an extensive butler’s pantry. 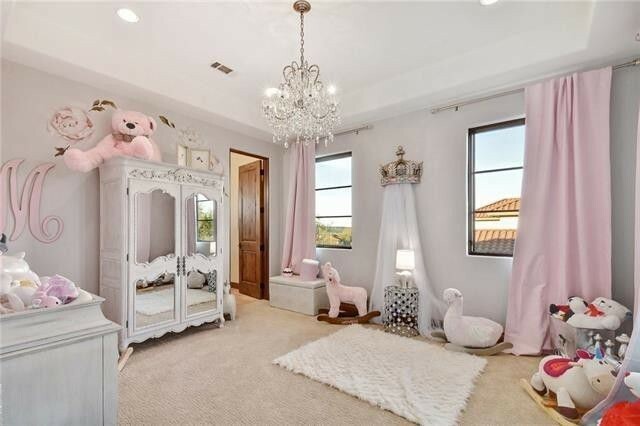 It appears that the couple have made their home a playland paradise for little Monroe. 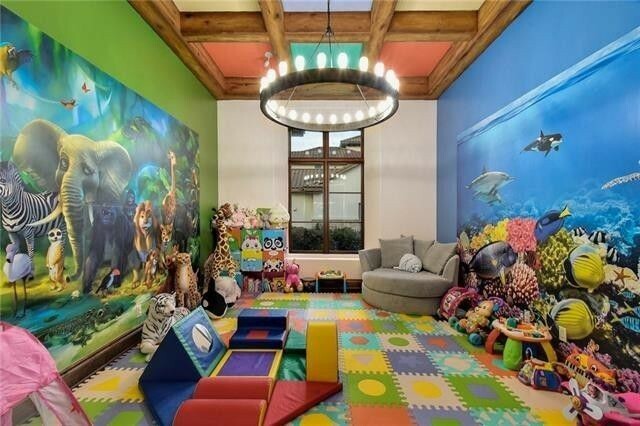 She has not only a pink princess bedroom, but a brightly colored playroom with both a jungle and an aquatic mural. And for the nanny, in-laws, or guests, there’s a self-contained suite with outdoor access and a cozy kitchenette. For entertaining, there’s a game room with a full wet bar. And outdoors, everyone can congregate around the heated, negative-edge pool and spa, or try their luck on the bocce ball court. Mike and Maryse met in 2006 on the “WWE Diva Search” talent competition: He was the host and she was a contestant. Their careers with the WWE have been gaining momentum ever since. Maryse currently serves as The Miz’s manager. They also star in their own reality series, “Miz & Mrs.,” which airs on USA Network.